High Risk is the latest installment in an ongoing series of publications we’ve created together with photographer (and good friend) Johannes Schwartz, starting in 2003 with the publication of High Noon. The concept behind the series is pretty straight-forward: every time Johannes is involved in an exhibition, he asks us to design a new issue of High. So far, ten issues have been published (High Noon, High Nature, High Light, High Rise, High Resolution, High Land, High Ideals, High Reflex, High Value, High Risk) – the full series is documented here. High Risk was a limited-edition publication, produced on the occasion of ‘Unter den Baum’, a duo-exhibition (featuring Johannes Schwartz and Anna de Jong) that took place at the Institute for Concrete Matter (also known as ICM: Photography for Collectors) in Haarlem (NL), during the month of March in 2012. 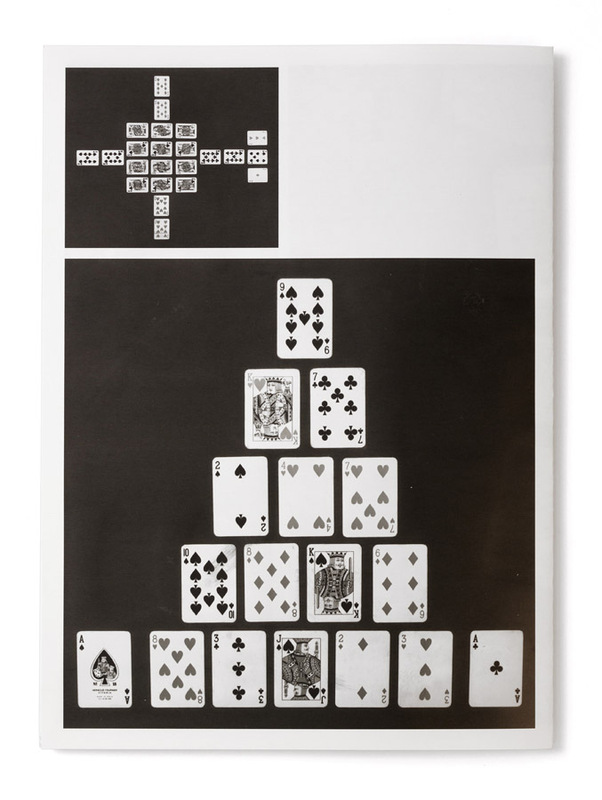 The publication basically consisted of a sheet measuring 48 x 33 mm, folded in two, to create a 24 x 33 mm booklet. This sheet happened to be a piece of DuPont/Epson ‘Commercial Matte Proofing Paper’ – the back of the sheet actually displayed a diagonal pattern showing these words. 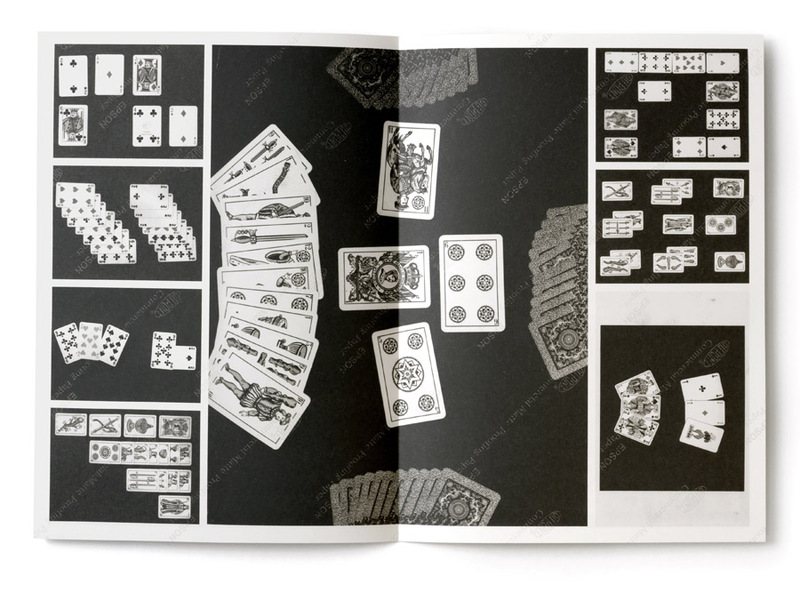 The images printed on the sheet were found photos, depicting various card games, in an almost diagrammatic, clearly instructional way. ‘Gebrauchsfotografie’ in the fullest sense of the word, while the stark black-and-whiteness lends a dramatic, noir-ish edge to the pictures. 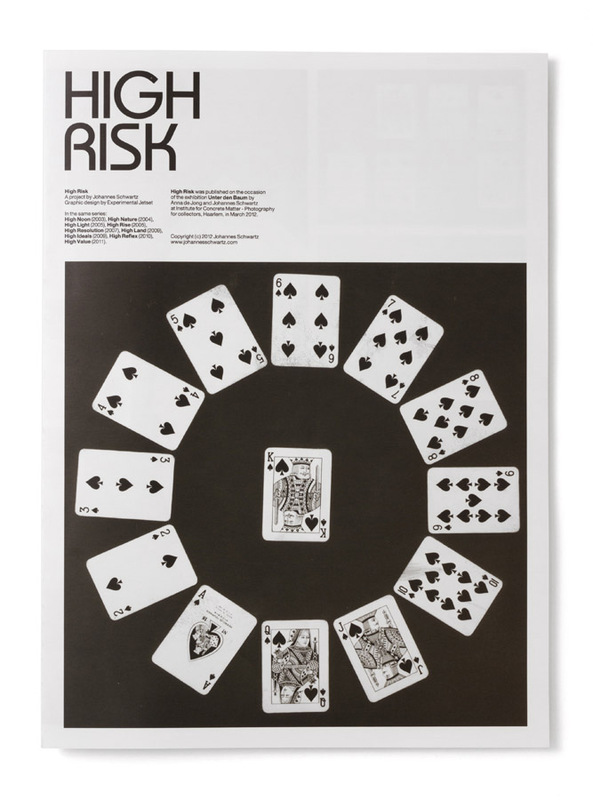 High Risk was printed by Johannes Schwartz himself, using both the printable side and the back of DuPont/Epson proofing paper.